...or "Everything you (n)ever wanted to know about NPC villages, but were afraid to ask." If you're trying to spawn golems for an iron ingot farm, or just want a few more noses to trade with in your local testificate township, then you've come to the right place. Much of what's in here comes from another forum thread originally posted by Marfagames. Among the many others who have helped me piece together this knowledge, special thanks must also go out to forum members trunkz and KyoShinda, both frequent posters in that same thread. Together the three of them made most of this information available in the first place -- all I did was digest what they wrote and re-word it into something that I, and I'm hoping you as well, could understand a little easier. And now, on to the good stuff! ...or "What is this I don't even." A village is defined by several factors: the village center, radius or "size", number of houses, population (number of villagers), population cap (max. 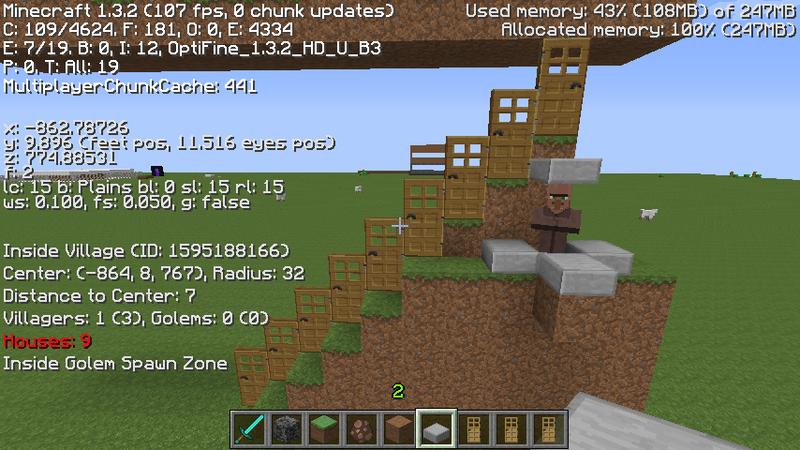 number of villagers, based on housing), number of golems, and golem cap (based on population). You might be asking yourself, "what does it take to make a village?" In order to be recognized as a "village," two things are required: at least one villager, and at least one house. A "house" is defined simply as a wooden door with an "inside" and an "outside" (see the next section for details.) A village's population is capped at 35% of the number of "houses" (doors.) Under ideal conditions, villagers will breed up to this limit, and then stop. 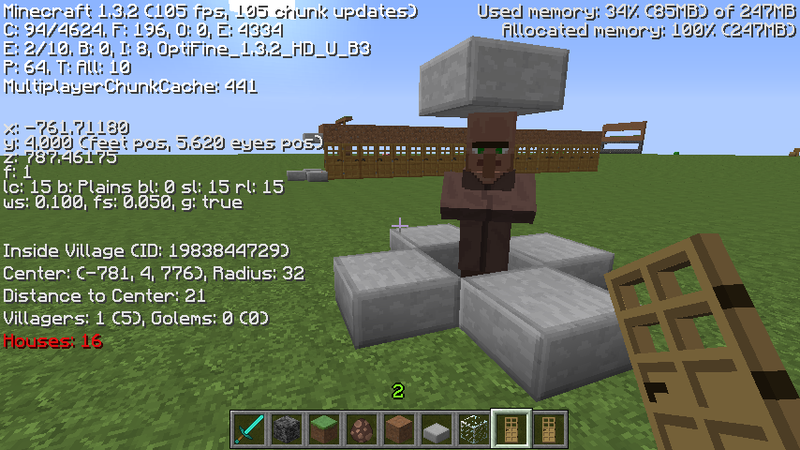 Iron golems can spawn in villages of sufficient size, and the golem cap is 10% of the village's current population. The village center is the geometric center point, or "average coordinates" of all the doors. 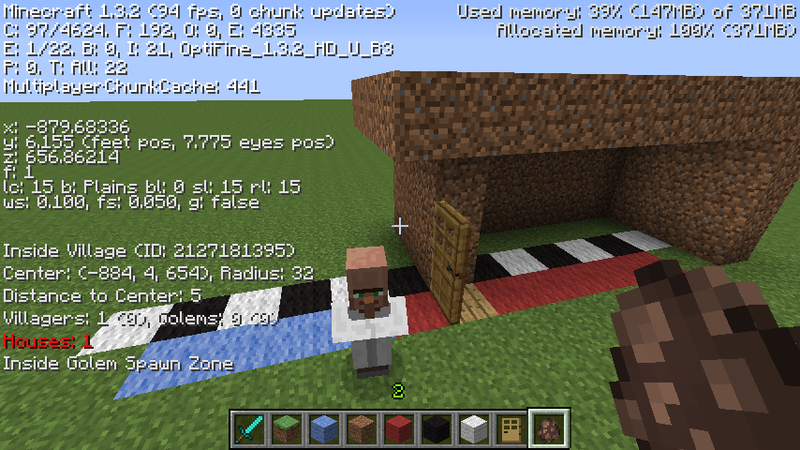 The village size or radius is the greater of either 32 blocks, or one plus the distance from this center point to the furthest door (measured in "straight line" or Euclidean distance). This means that the radius is always at least 32, no matter what, but it can be more than that if there are any houses further than 32 blocks from the center. If there are, then the radius is one block larger than the distance to the farthest one. Both the center point and radius are rounded to whole numbers. The center point is rounded "towards zero" (down if the value is positive, up if the value is negative. Or in other words, it is not "rounded" at all but simply truncated at the decimal point). In preliminary testing, the radius appears to be the raw distance from the rounded center point to the furthest door, plus one, rounded up, although more testing or a look into the game code are required to confirm this. ...or "You can't park here." How does the game recognize a "house"? A house is defined as a wooden door with an "inside" and an "outside." The inside is the side which has more spaces covered by "roof" blocks than the other, within five spaces horizontally of the door in the two directions it faces. A "roof" block is an opaque block, at any height not lower than the door, that blocks direct sunlight from reaching the spaces below it. A door is not counted as a house without a "roof," or with the same number of covered spaces on either side. Yes that is a valid house! Not much to look at, is it? But it fits the criteria. 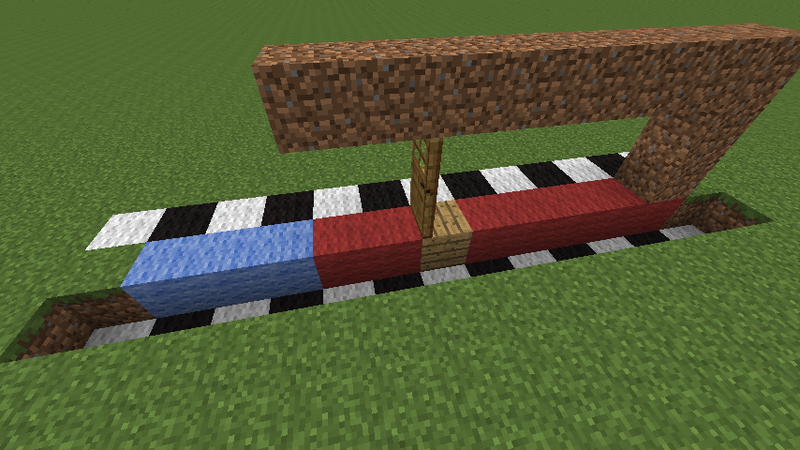 The dirt blocks the light from reaching the space below it, and so counts as a roof block. 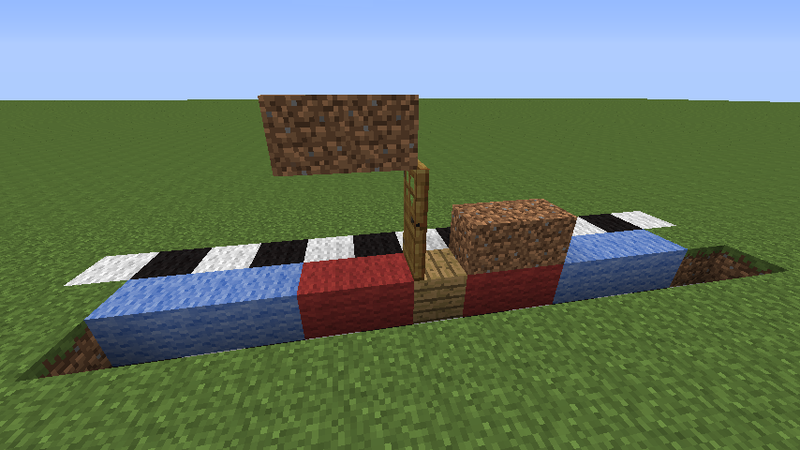 The dirt blocks on the far side (top of image) do not affect this house's "housiness," nor do the lack of any blocks on the near side. Not technically a house, since there is no villager here. 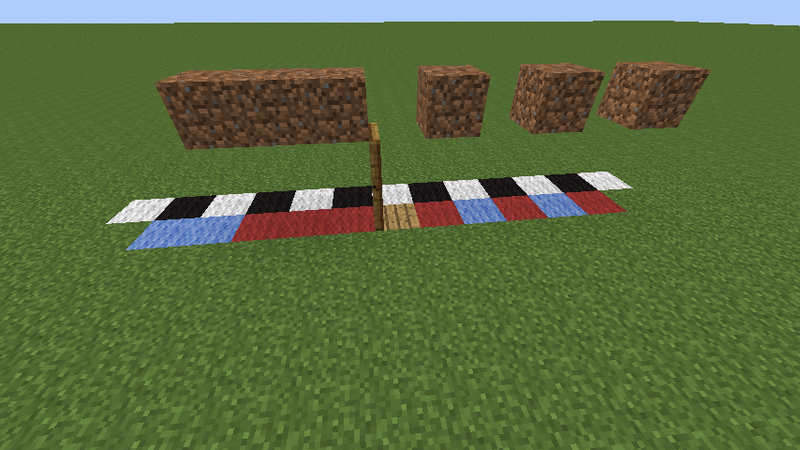 The "Houses" value in red indicates that there are not enough to support an iron golem. If there were 21 or more it would shift to green indicating that a golem(s) can spawn in the village. 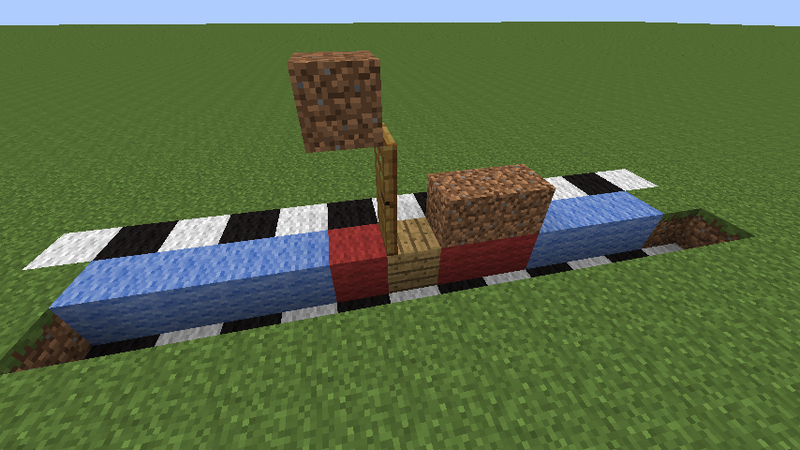 When two villages' boundaries overlap, they will merge into a single, larger village. A new house that's within (radius + 32) of an existing village would, were it considered a village in its own right, overlap with the existing village and so just becomes a part of that village. This causes a recalculation of the village's radius and center point, which can sometimes cause it to overlap with another already-existing village. When this happens, the game doesn't always handle it correctly right away. It is possible to end up with a situation where two (or more) villages overlap and are still treated as separate villages. 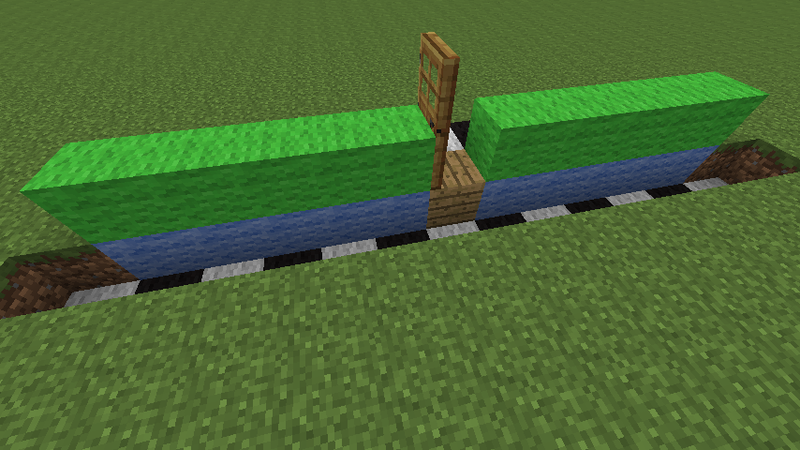 Villages can also overlap if the removal of a door shifts the center point closer to the other village. Tango Tek took advantage of this behavior to design several "overpowered" iron farms that tricked the game into overlapping several villages in a small space so they each could spawn golems individually. The same thing can happen in reverse: if houses are removed from the center of a large village, the remaining ones may constitute two separate, smaller villages whose radii do not overlap, but the game may still treat them as a single, large village. Or, likewise, additional houses may shift the center point away from the furthest houses so they should not be included in the village yet still are. 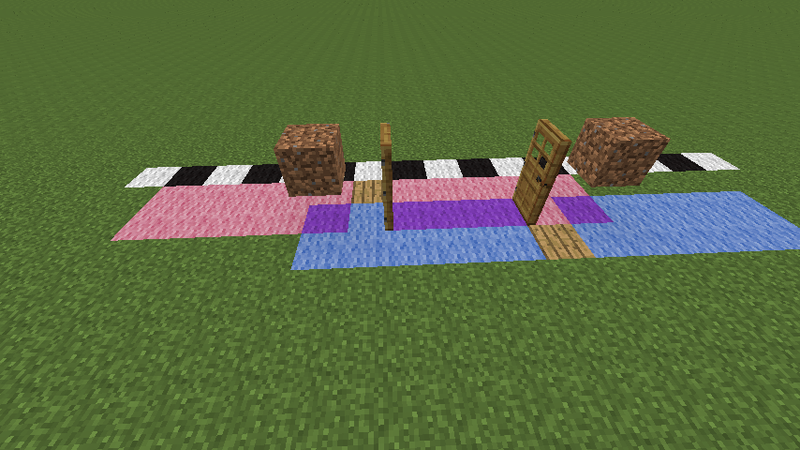 When the placing or removal of blocks causes what-was-once-a-house to become no-longer-a-house, the game can fail to update this as well and still treat the door as if it should count as a house. Relogging used to fix this issue, reevaluating the village from scratch when you came back, but now, since 1.4 and later, the village is saved to the world file and so simply relogging does not cause a reevaluation. You will actually have to bust out and replace the door itself (or use the fix below) for it to stop being counted as a "house." And here left are 0 houses and the right 2 are 2 houses. The doors on the left get not negated through the other door, but through the one "roof" tile only in the range of 5 left and right from it. Let's take another look at what he wrote there: And here left are 0 houses and the right 2 are 2 houses. That's true, the two doors on the left do not count as houses, and the two on the right, do. But then look at what he says immediately after that: The doors on the left get not negated through the other door, but through the one "roof" tile only in the range of 5 left and right from it. 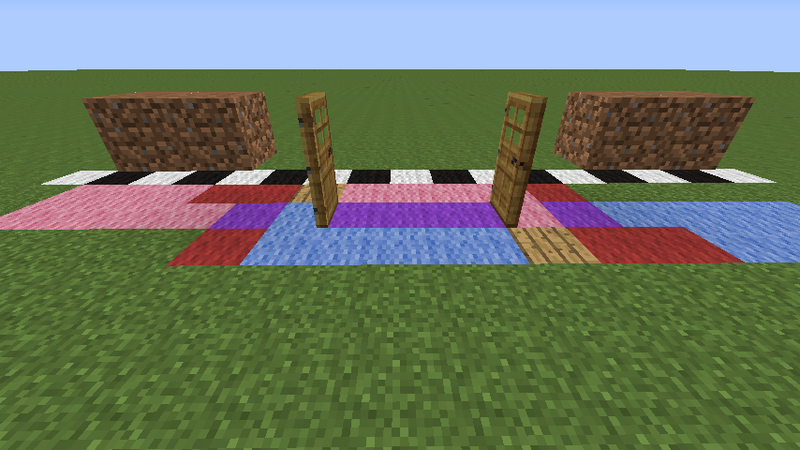 Marfagames' english is a little rusty, but what he is saying is basically this: The reason the doors on the left do not count as houses is NOT because they are facing each other, but rather it is because each one has exactly one space covered by a roof block on either side. So as you can see, even he said from the very beginning that it has nothing to do with the fact that they are facing each other! However, somewhere along the line, someone misinterpreted this to mean that facing doors somehow cancel each other out, and then everyone else took that rumor and ran off with it. If anyone ever tells you that facing doors will cancel each other out, you can send them here to get set straight. **The wiki used to state that "once the cap is reached, any remaining baby villagers will grow to adulthood, but no new babies will be born, bringing the total population to somewhere slightly above the actual population cap," indicating that only adult villagers are counted towards the cap. I have not seen any evidence of this, and all my testing indicates that baby villagers are counted just the same as adults are. As soon as that last baby is born, all "love mode" animations cease to occur; killing either a baby or adult villager at that point will cause them to start up again. If a villager from a village dies to a non-player, non-mob source (i.e., environmental damage like fire, lava, drowning, cactus, suffocation, or fall damage) within sixteen blocks of a player, or if a monster kills a villager at any distance from the player, no villager in that village will be able to breed for the next three minutes. Further deaths within this time will reset the clock, not add to it. 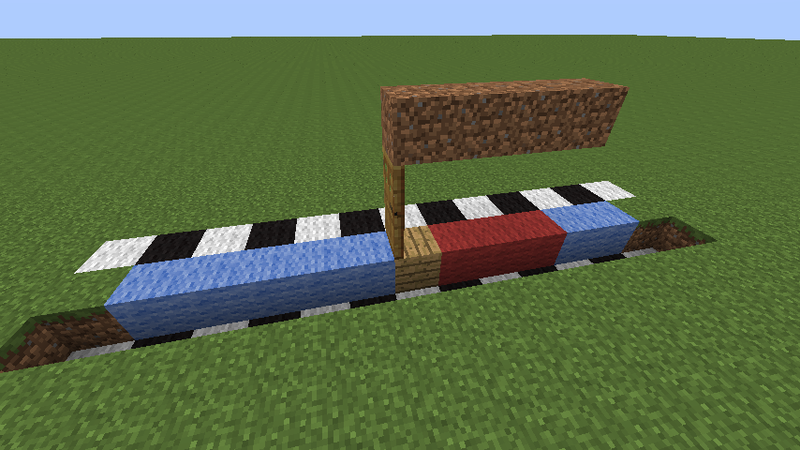 Breeding may resume three minutes after the last villager has died this way. If a player attacks or kills a villager directly, it will affect their reputation in the village (see Iron Golem section, below), but it will not affect breeding. Breeding requires at least two villagers to begin with. If you are starting a village from scratch, or if yours was wiped out by zombies and there are no villagers left (or only one), then the only ways to acquire more are hauling them in from another village (such as by boat, minecart, or nether tunnels), curing infected zombie villagers, or to cheat them in using creative mode spawn eggs. To cure an infected zombie villager, you need a splash potion of weakness, and a golden apple. When you find a zombie villager, toss the potion of weakness at it, and then right-click it with the golden apple. The zombie will make a loud sizzling sound, emit orange particles, and begin to shake violently. It takes a couple of minutes for them to convert, so go ahead and trap him somewhere, and make sure he won't burn in the sunlight. After a few minutes, he will turn into a regular villager, at which point you can let him out to roam the village or do whatever. Finding zombie villagers in the first place shouldn't be all that difficult. Each zombie has a 5% (1/20) chance to be a villager zombie instead, so it shouldn't take you too long (only about forty zombies, total) to find two of them you can cure back into villagers and get the population booming by more..."natural" means. Additionally, when a villager is attacked by a zombie (any zombie) there is a chance (based on difficulty: 0% on Easy, 50% on Normal, 100% on Hard) that they will turn into a villager zombie instead of just being killed. [V]illagers need to be inside a sphere (radius = village radius) around the village center in order to breed. 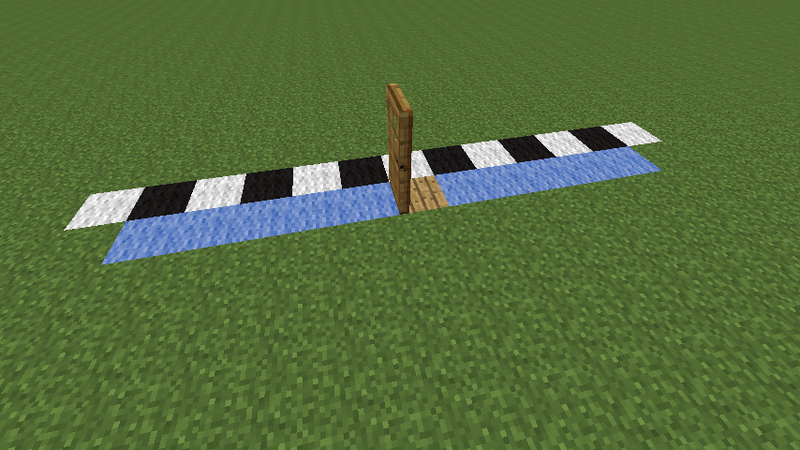 But the village counts only villagers that are inside a box (width, length = 2x village radius, height: 9 [always!]) around the village center. So with a sphere that can grow to any size, and a box that's always only 9 high, it should be apparent that there are some zones only covered by the sphere (above and below the village center). You can simply reproduce/abuse this behavior by building 6 houses on the ground level (enough to set the villager limit to 2), drop 2 (or more) villagers into a 6 blocks deep hole, and leave one villager at the top to keep the houses "alive". The villagers in the hole will breed indefinitely, because they're not counted against the cap. 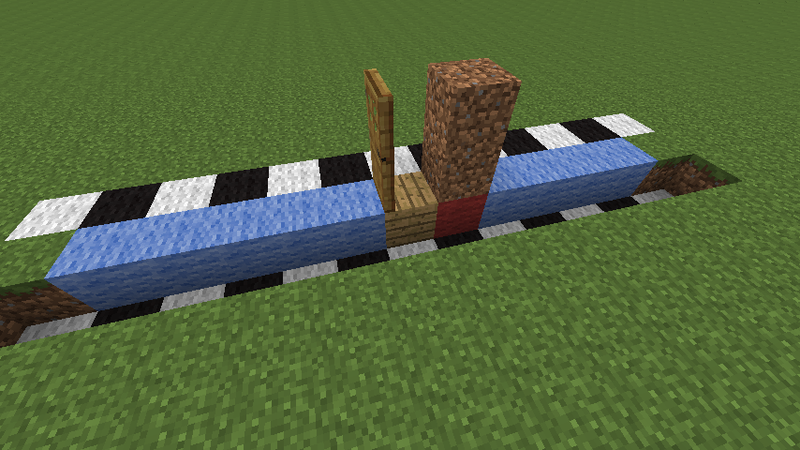 This nine blocks high is the same height as the range in which a villager can identify a house. 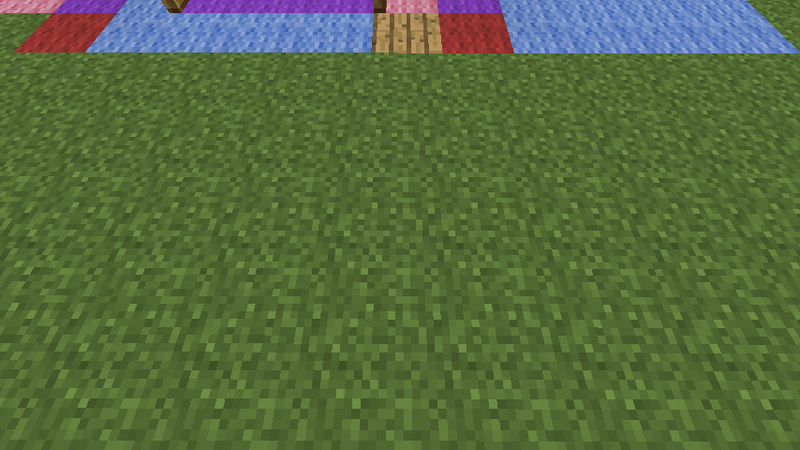 I have not confirmed this, but perhaps these two are related -- that is to say that maybe a villager would be counted towards the cap if they are up to three blocks below or five blocks above (or exactly on) the level of the village center point. ...or "It's okay, he's with me." An iron golem's main purpose, "in-world," is to protect villagers from zombie sieges. In practice, they actually do a rather poor job at this, but it is also possible to "farm" them for the iron ingots they drop on death. Golems will roam the village and attack any hostile or neutral mobs they see except for creepers, wolves, polar bears, and llamas. They have extremely high health (100 points, or 50 hearts) and do not suffer fall or drowning damage. Their long arms can reach an enemy through a solid wall one block thick with a long-range melee attack that does not require line-of-sight and deals anywhere from 3.5 to 10.5 hearts of damage, or 7 to 21 half-heart "points" (on normal difficulty; 4-11 points on easy and 10-31 points on hard) as well as tossing enemies into the air, likely causing fall damage in addition to this. When provoked by attacking them or a nearby villager, naturally-spawned golems will become hostile towards the player, moving toward the player whenever they are in sight and attacking whenever they are in range. They can sense an attack on a villager even without direct line-of-sight, they don't actually have to "see" it take place. Attacking one golem will not cause any other golems to become hostile, but attacking a single villager will bring the wrath of every golem within range (~12 blocks.) Running far enough away from a hostile golem will cause it to become neutral towards you again. Additionally, contact with water momentarily renders them passive -- they will not attack any players or mobs while standing in water and their neutrality towards players will be reset. 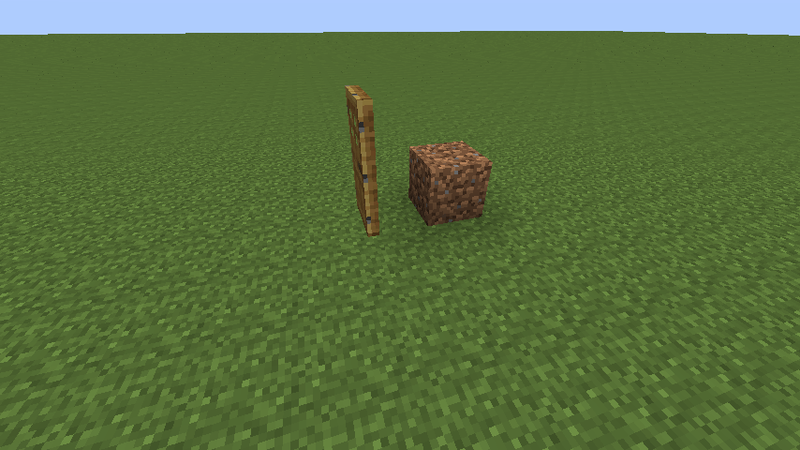 Iron golems will spawn naturally in a village of sufficient size, but can also be constructed in-world by the player, by placing four iron blocks in a T-shape (physically build it, not on a crafting table) and then placing a pumpkin or jack-o-lantern on top (the pumpkin/jack-o-lantern must be placed last, or else it won't work.) Player-created golems will never attack the player who made them, even when directly provoked. Upon death, golems will drop 3-5 iron ingots and 0-2 poppies (formerly roses), which makes farming them a viable alternative or addition to caving or mining for your iron. Golems will spawn near the center of a village if it has at least ten villagers (previously sixteen, before 1.4) and 21 houses. Additional houses beyond the 21st will make no difference as far as golem spawning is concerned, however, having additional villagers beyond the tenth will allow more golems to spawn, in increments of one golem for every ten villagers (so 0-9 villagers allows no golems to spawn, the cap is set at zero; 10-19 raises that cap to one, 20-29 raises it to two, etc.) This cap only limits the number of golems in a village at any one time; as soon as one is killed or leaves the village boundaries, a new one can spawn in its place immediately. 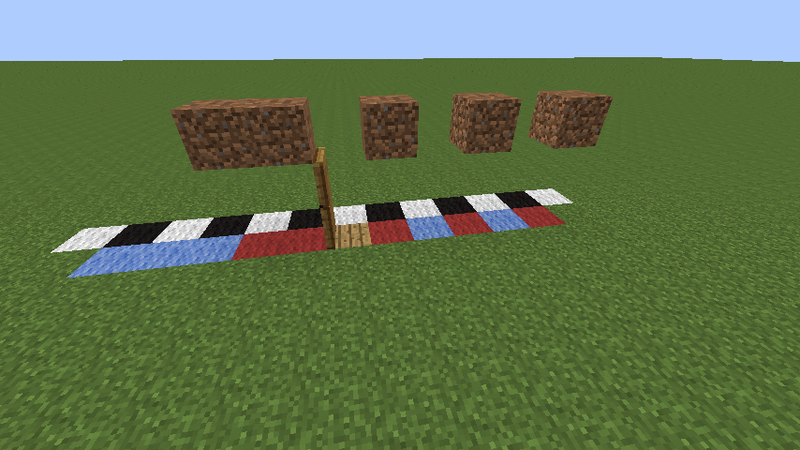 This is repeated up to ten times or until a golem is spawned, whichever comes first. Then, the check is repeated each game tick, until enough golems have been spawned to reach the cap, at which point spawning is put on hold until either a golem is eliminated or the cap is raised. This means that, as long as the cap isn't reached, you can expect one golem spawn about every six minutes, on average, or roughly ten golems (30-50 ingots) per hour. Remember, though, that this is just an average, and the actual interval between spawns will necessarily vary to some degree. If you watch vigilantly, you will likely see spawns spaced much closer or farther apart than this six-minute average, but in the long run, it should all even out. An iron farm is an artificial village in which golems are spawned and then funneled into a killing chamber where their drops can be collected. You can either hold the golems (outside of the village boundary, so more can continue to spawn in their place) until you come and kill them manually, or you can force them into cactus or lava to kill them immediately and use hoppers to collect the drops. There are several ways to build an iron farm, but the most effective versions seem to be the ones that utilize two floors in the central golem-spawning zone, and keep all doors and villagers outside the zone, either above and below the center or in an outer "ring" on the same level. This is in order to maximize the number of available spaces for the golems to spawn in, which in turn will reduce the number of failed attempts, and keep the spawning rate as high as possible. This is much more effective than simply increasing the villager count to raise the golem cap, which only matters for the few seconds between the time when a golem spawns and when it is flushed out or killed, anyway. To further increase your output rate, you can build several separate "modules" and bring the golems or their drops to a central collection area. Since golems are immune to falling or drowning damage, the available killing methods are lava, cactus, or suffocation. I have linked several iron farm tutorials at the end of this guide. Many of these creations were designed in earlier game versions so some of the details might be different (specifically, they often say you need sixteen villagers when now only ten are required, and they often have you start with minimal villagers and let them breed up to the required numbers based on the doors included in the farm, which now does not work unless you feed/trade with the villagers once they are in place.) Prior to version 1.8, MAGUS-APPROVED™ designs included those presented by trunkz, docm77, and MegaTrain. In my world I use a variation on the one from docm77's video but with only two pods of five villagers each instead of four pods of four (since you only need ten now instead of sixteen) and only 24 doors (since I bring them in from elsewhere, I don't need all the extra doors which were just there to facilitate breeding. Technically only 21 doors are needed but with 24 I still get the 4-way symmetry that puts the village center right smack in the middle of the structure.) I used to use one based on MegaTrain's MegaVillage concept, but since 1.8 that requires significant reworking to account for the new farming/willingness mechanic. CSPerspective's videos detail earlier incarnations of the idea that do work, but fall short on efficiency in some of the areas I mentioned above. He also has a fourth iron farm video which does remedy these shortcomings, but I did not put a link to it as it's basically just a rehash of JL2579's design (from docm77's video, which I feel has a better presentation.) If you're going to follow the designs exactly, stick with docm77's or trunkz' video. If you want to design a farm yourself from the ground up, go ahead and watch them all to get some ideas. For each player, the village with its center closest to the player is considered as a candidate village for a siege to occur if the player is within (radius + 1) of the village center; essentially, the player must be "inside" the village for a siege to occur. If the player is not within range of any village, the next player's village is considered. If the village has fewer than ten doors, fewer than twenty villagers, or has not been stable (no doors added or removed) for at least one second (20 game ticks), then the next player's village is considered. Ten attempts are made to choose a starting point, on the y-height of the village center, at a random point on a circle with radius 0.9 times that of the village, that is not within the boundaries of any other village. If a valid starting point is found, a location is chosen as if to spawn a zombie there. If that check succeeds in finding a valid zombie spawning location, a siege is initiated at the siege starting point. Otherwise, the next player's village is considered. Once a siege is initiated, up to twenty zombies may be spawned over the course of 2 seconds. For each zombie, up to ten attempts are made to randomly choose a spawning point within a 6-high, 16x16 zone centered on the siege starting point. If a valid spawning point is found, a zombie is spawned. During a siege, zombie spawns ignore player proximity, light levels, and other mobs, meaning even a well-lit and fortified village may suffer a siege. The best way to prevent them is to either keep your village small enough that they can't occur, or stay outside them at night. I don't look at the game code myself, or anything. My info comes from in-game observations and the word of others. This is how it works, according to my understanding. I haven't included anything on trading in here yet, but for the time being, the wiki covers it pretty well. We also have a discussion going on over here about all the math and stuff behind how a villager's trade offers are generated. We're all human (or most of us are, anyway) so there's always the chance that I have made a typo, or even that I am just plain wrong about something in here. If you see anything that you feel needs attention, please post it in this thread or shoot me a PM. Sources: the wiki; trunkz' Village Info mod; various posts on these forums; and personal experience from building several different types of iron farm, from fixing up and expanding two NPC villages in my main survival world, creating my own villages from scratch, and from my own testing in creative mode. Can you make the village in creative mode? Will they breed? Can't say for sure, as I don't do much creative mode, but I don't see why they wouldn't. [Edit]: Duh, I just remembered! Of course they can. trunkz' tutorial video was made in creative mode, and his design starts with only two (well okay, four, but two of them are isolated from each other and from the initial breeding pair) and breeds them up to sixteen. 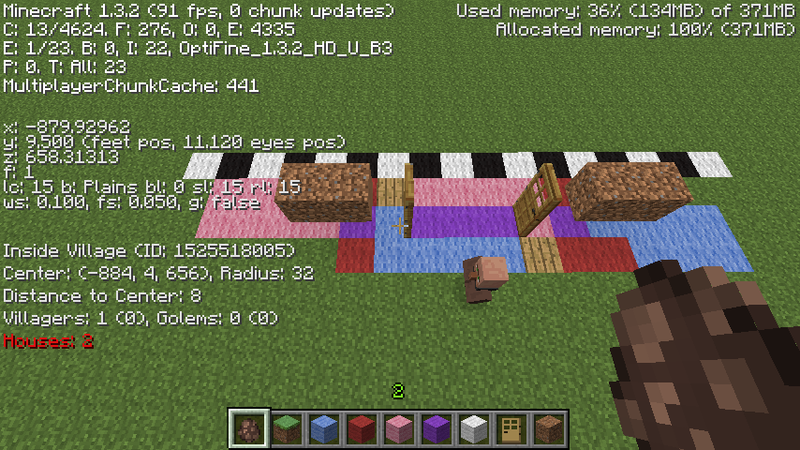 Yes, they work in Creative Mode. Villagers, that is . I am the Wonderful LeSieg! Speak-a da English? I thought I explained it all pretty clearly. What part don't you get? Noob question: my village is built on two plains, with a difference in elevation of 6 blocks. The villagers only seem to want to inhabit the houses on the lower plain, meaning I have a whole lot of houses not in use, and which seemingly doesnt have an impact on villager breeding. My question is: must the houses be on the same elevation for them to be seen as part of the village? No, they don't have to be on the same level, although six blocks might be enough to keep the villagers from noticing them if they only ever stay on the bottom level. I think they need to be within 3 or 4 blocks vertically of a house to "initiate" it and make it a part of the village. 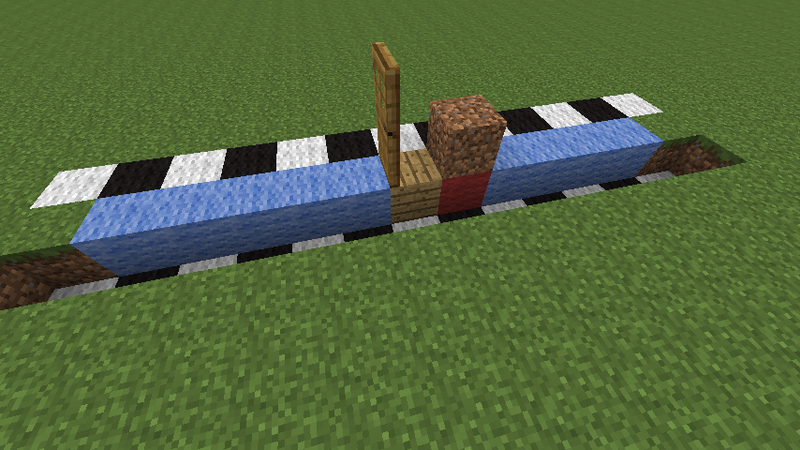 Try pushing a villager up to the upper level using stairs or a minecart and see if that helps any. Also you can download trunkz' Village Info mod (link in first post) to see how many houses the game thinks your village has, to find out if all of them are registering or not. And to add information I can tell you that the glitch where villagers continue reeding without stoping is as you said due to a difference in the vertical height of the houses. 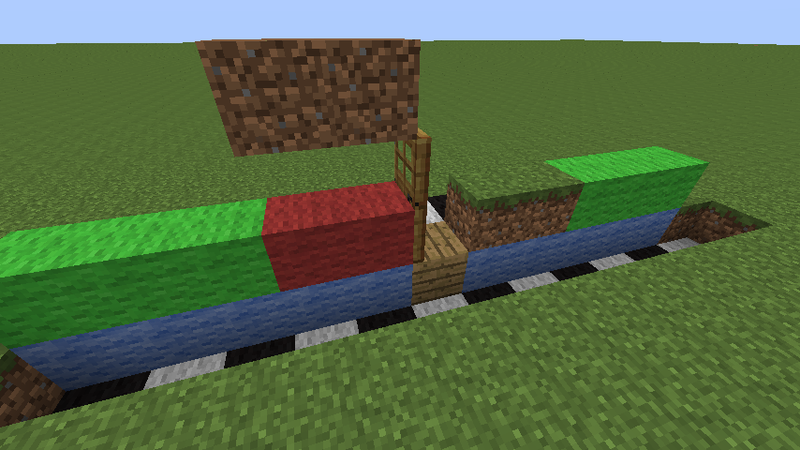 To do this you must build an at least 2x2x2 area filled with doors and at least 1 villager in it. This building must be up in the sky. 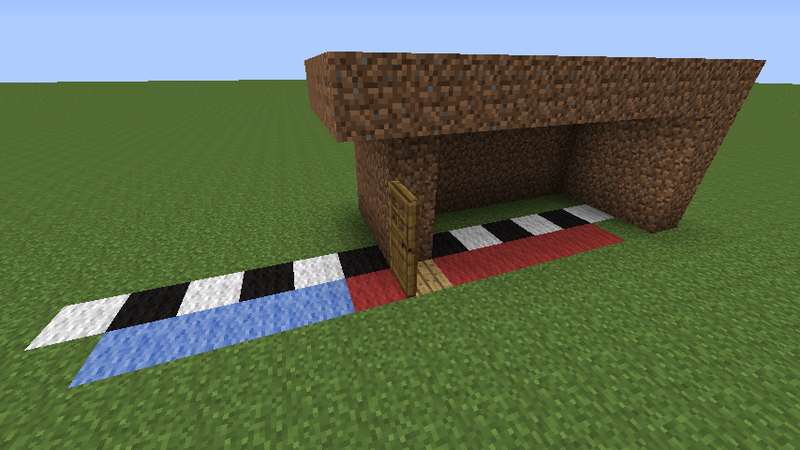 Can you place blocks above the roof of a house? I'd like to place some slab over created houses. Most epic things in the universe: Fma, Minecraft, Soul Eater, Anime, Manga, Edward Elric, and Inuyasha! Yes, you can place blocks above the roof no problem. The rules for a block to be counted as a roof block for a particular door are: inline with the door, within five blocks horizontally of the door in the two directions it faces, topside is exposed to sunlight during the day, and bottom side is higher than the door's bottom side. 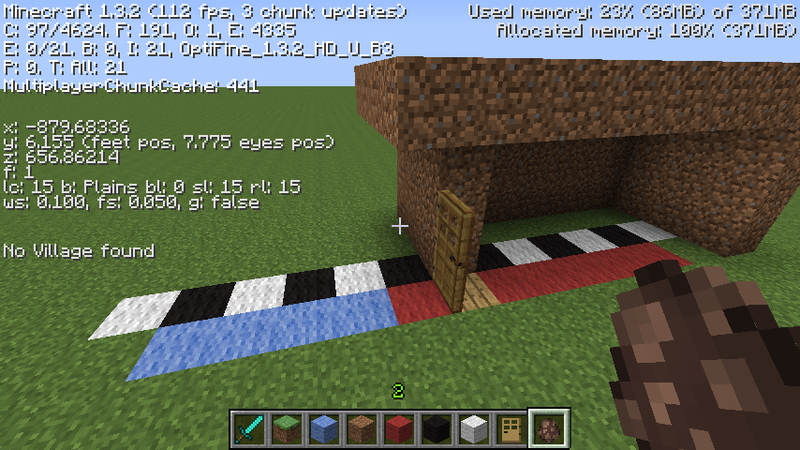 Notice there's no mention of how much higher it can be -- the block can be at any height, be it 1 block above the door or 100 blocks, so long as its bottom side is higher than the door's bottom side. If you put opaque blocks over an existing roof, they will cancel out the previous roof (since they block its sunlight) but they themselves will become the new roof since they still fit all the requirements. That door still has a roof, it's just much higher than it was before. 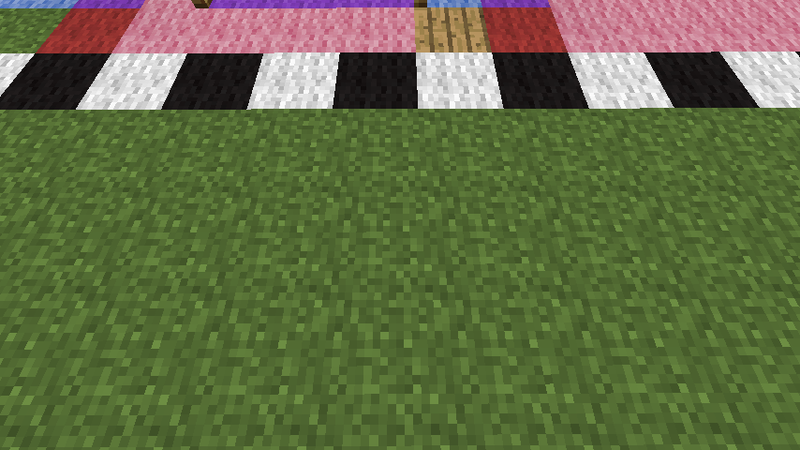 If you use transparent blocks such as stairs, glass, or half-slabs instead, then they won't interfere since they don't block the sunlight from reaching the blocks below. My friend and I have built this town in SMP and it's got quite the population. They've already built a golem and it's gotten to the point where there's clusters of eight NPCs in one home on occasion. This is because for a while, NPCs have been wandering off some and then getting caught in this cave nearby that I didn't notice was still open. And all this time the NPCs within the village continued to reproduce. Anyway, so recently I freed them all however since then, even on peaceful mode and things well lit, zombie sieges have been popping up. It was one outside at first, then two, then three, then suddenly a bunch of them spawned inside homes, to omnom on our NPCs. I know it's not my friend trolling me as she can't give herself items, there are no spawners nearby or anything and like I said, it's on peaceful. This started to happen a little before I freed all those NPCs, but since then things have gotten progressively worse. I had also built a bunch of iron golems after the first zombie spawned, if that's relevant. 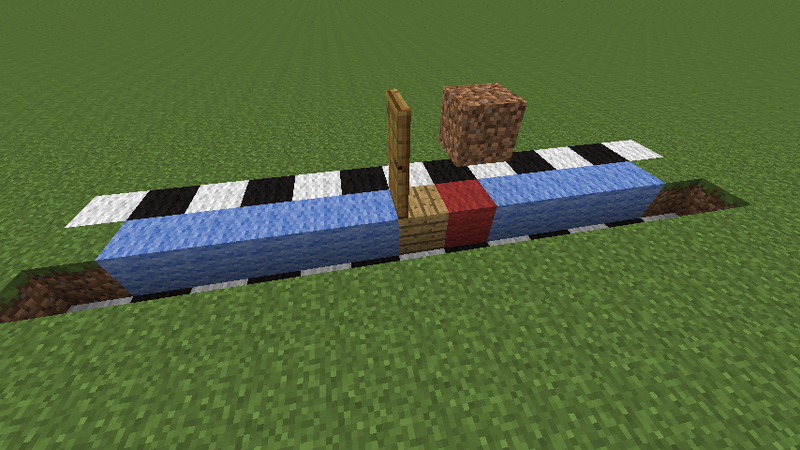 Is this a bug, or natural selection within Minecraft? Sounds like some sort of bug. I don't know if zombie sieges are supposed to spawn on peaceful but if they do, I would think they should immediately despawn just like with mob spawners (they still function on peaceful, technically, it's just that the mobs will despawn almost immediately, I think it's on the next game tick. Sometimes that's enough for a ninja-skeleton to get a shot off at you, however.) Are you using any mods? And is it 1.2.5 or a weekly developer snapshot?